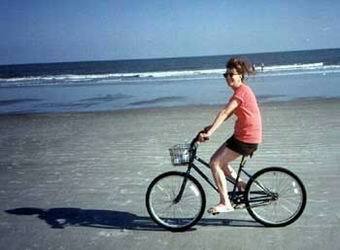 ...which made beach cruising by bike a very popular pastime. 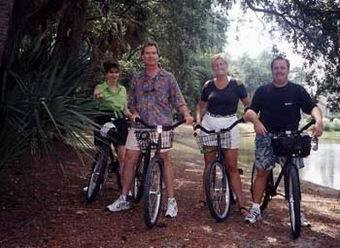 In fact, Hilton Head is famous for its extensive network of bike paths meandering all over the island. 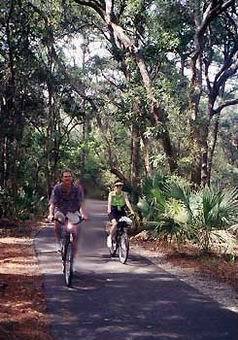 Our friends Scott & Karin from Florida visited us for a few days, and we enjoyed exploring the island by bike. 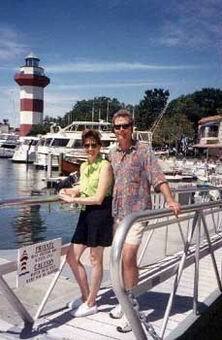 The aptly named Harbour Town contained some nice shops and restaurants, & a very picturesque lighthouse. 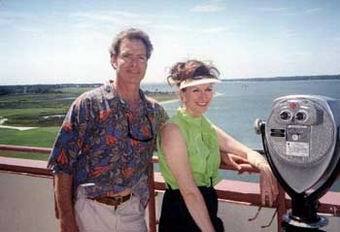 Of course, we had to climb to the top to check out the view! 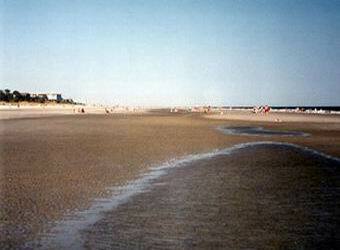 Did I mention that the beaches were very wide? 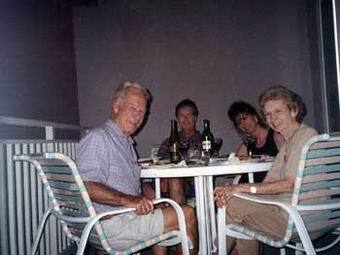 Chris' parents Brad & Marge came to visit, after Hurricane Floyd forced them to evacuate their home in Florida. 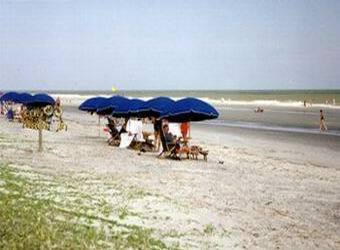 But the hurricane followed them, and the next day we had to evacuate Hilton Head, and flew home!